This website is owned and operated by Iron Raft Ltd: a limited company registered in England and Wales with company registration number 10711064. Our principal activity is the retail of technical outdoor fabric for the customer to build their own homemade products. These terms and conditions constitute an agreement between you and Iron Raft Ltd. By using this website and making purchases from Iron Raft Ltd you agree to these terms and conditions. Iron Raft Ltd may change these terms at any time. Please review these terms often to ensure you are aware of any changes made by Iron Raft Ltd. If you do not agree to all the following terms you should not use this site. These terms and conditions shall be governed by the laws of England and you agree to submit to the exclusive jurisdiction of the courts of the United Kingdom. Due to the nature of our products, purchased items are required to be assembled into a useable product by the customer. Iron Raft Ltd has no way to monitor the quality and craftsmanship of the customers assembled product. It is the users responsibility to decide if the finished product is fit for their intended use. In no event shall Iron Raft Ltd or any of it’s representatives be liable for any loss, damage, harm of health, injury or death in relation to the use of any product constructed from items purchased from Iron Raft Ltd.
Our self-build packraft kit requires a significant amount of time and attention to detail in order to construct it. Assembly is the sole responsibility of the purchaser and will depend entirely upon the purchasers ability to achieve robust, airtight seams through heat sealing. Packrafting and associated activities can be dangerous and can potentially result in injury or death. It is the individual’s own responsibility to fully accept all risks, damages, injury or death which may result from such activities. Evaluate your experience honestly before you putting yourself in a dangerous position and seek qualified instruction. Please see our Safety Precautions and Warnings for more information. The copyright and other intellectual property rights in all material on this website, unless otherwise specified, are owned by us or our licensors and must not be reproduced without our prior consent. Additionally, no part of this website may be modified, downloaded or used in any form without the prior written permission of Iron Raft Ltd.
All prices are shown in Pound Sterling and include UK value added tax (VAT) at 20% unless stated otherwise. All prices are subject to change without prior notice. All transactions will be completed in GBP. When you are ready to purchase your goods you will log in securely to your PayPal account via a pop-up window. 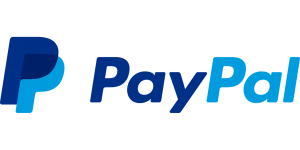 After dealing with Paypal you will return to our website, review your order and confirm your purchases. When an order or payment has been accepted you will receive confirmation by email. Contracts will be concluded in English language. Iron Raft Ltd reserves the right to cancel any suspected fraudulent orders without notification. You have an unconditional right to cancel your order within 14 working days of receiving your order. You must provide Iron Raft Ltd with written notice of cancellation and you must return at your own cost all goods in the state in which they were received by you. We will refund you in full within 14 days of receiving the goods back. Please note that we are unable to recall orders once they have been shipped and you will have to return the orders to us as normal. We aim is to despatch goods as quickly as possible. Any amendments to the original order need to be confirmed in writing as soon as possible. All quoted delivery times are estimates only. Deliveries to countries outside the EU may incur customs duty on delivery. This charge will depend on the country and you should enquire locally for more information. By placing an order with Iron Raft Ltd you agree to pay any customs fees or import duties applied to your goods. This also relates to any returns you wish to send back that are held at customs. Please see our Cancellation policy above. If there is a problem with the goods, please notify us by email prior to returning the item, providing details of the problem. In addition, you must provide us with a digital photograph of the problem as this saves you having to return the goods for inspection. We will deal with the matter in accordingly. When returning an item, always ask for a Proof of Posting. We are not liable for any returns that are lost or delayed in the post back to us. Please note, we can only refund the card used in the original sale via PayPal. We try to make sure that items listed on our site have the correct stock status. In situations when the stock status is incorrect and an item is temporarily unavailable we will contact you to let you know when the item will be in stock or to arrange a refund. We make every effort to display a true representation of the colours of our products and try to ensure product photographs are as accurate as possible. Despite this, we cannot guarantee an exact colour match to the product as what is displayed on your screen. We aim to provide complete, accurate, up-to-date information on this website. Unfortunately, from time to time our website may contain technical inaccuracies and typographical errors, some of which may relate to price, product descriptions, product specifications, and availability. We aim to correct these as soon as we become aware of them and reserve the right to alter specifications and prices without notice, including after an order has been submitted. We sincerely apologise for any inconvenience this may cause. In no event will Iron Raft Ltd be liable for any damages arising from use or loss of use, data, or profits, whether in action of contract, negligence or other tortious action, arising out of or in connection with the use, or inability to use this site. We make no warranty that this site or the server that makes it available is free of viruses or bugs. Throughout the Iron Raft website, you will find links to third party websites. Please note that Iron Raft Ltd is not responsible for the privacy policies or content of third party sites and any issues regarding this should be directed to the particular third party website. By using our website, you agree to the collection and use of information in accordance with this policy. The information we collect will only be used by Iron Raft Ltd. The information we collect will typically consist of: your name, address, telephone number, delivery and billing address and your email address. This information may be collected when you subscribe to our mailing list, order through the online store or create an account with us. We may use this information to contact you with newsletters, marketing or promotional materials and other information that inform you on new products, news within the packrafting industry or to promote sales. This information is collected securely by Paypal. We never see your full card details, as only the cardholder name and the last four digits of the card number are supplied to us by Paypal. We do not store credit card details nor do we share customer financial details with any 3rd parties. We may use technology such as a “cookie” to monitor users of this site such as which areas of the site you use most or least often and how often you use the website. A “cookie” is a piece of data stored on the user’s hard drive containing information about the user, it is not linked to any of your personal information on our site. It may be possible for you to modify your browser to prevent this happening and you may still be able to use our site.